Alexander Gray Associates presented paintings by Betty Parsons (1900–82). Though widely recognized as an influential dealer through her eponymous gallery, Parsons was first and foremost an artist, having begun her career after moving to Paris in 1923 where she trained as a painter and sculptor under Antoine Bourdelle and Alexander Archipenko. 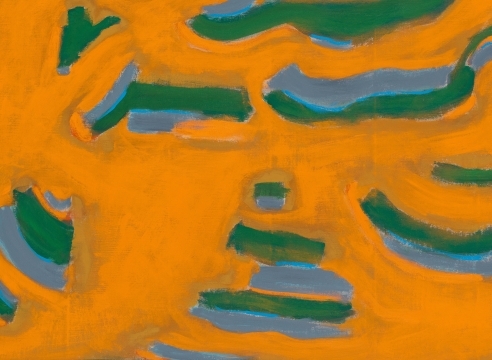 Highlighting her adept and bold use of color, the presentation is a survey that brings together abstract paintings on canvas and paper dating from the 1950s to the late 1970s. The presentation was the first time her work has been shown in the United Kingdom since a solo exhibition at the Nigel Greenwood Gallery in 1980.